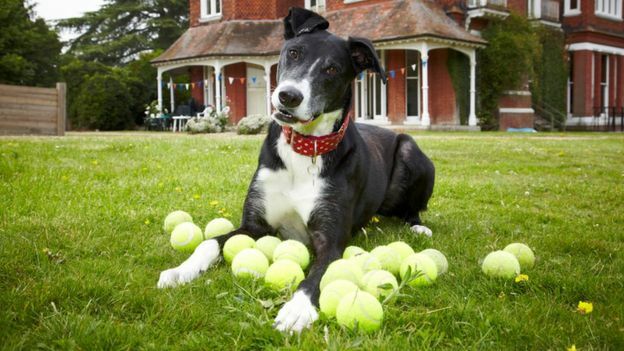 Britain’s “loneliest” dog has been adopted after spending more than 1,000 days at an animal shelter. Animals at the Old Windsor home normally stay about 36 days, but team leader Craig Perera said people “may have been put off by his size” . 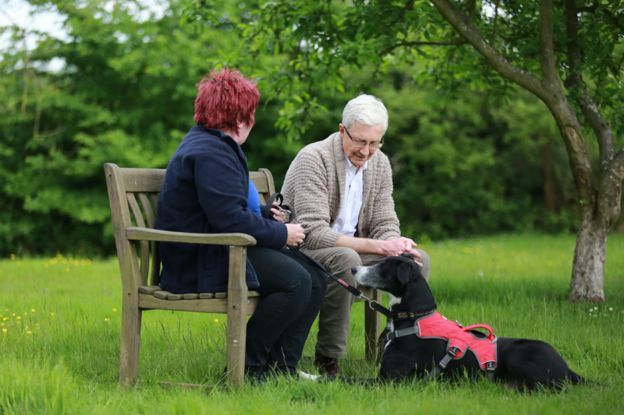 After Bud featured on Paul O’Grady’s ITV show ‘For the Love of Dogs’ a family contacted the home to adopt him. The new owner, Ian Corns from Kingswinford, Dudley, said “we’ve all fallen in love with him”. Old Windsor is a branch of Battersea Dogs and Cats Home. Manager, Kaye Mughal, said he was their ” …longest stay across all three Battersea sites“. Bud was taken there in November 2013 when he was 6 months old as his owners were no longer able to take care of him.